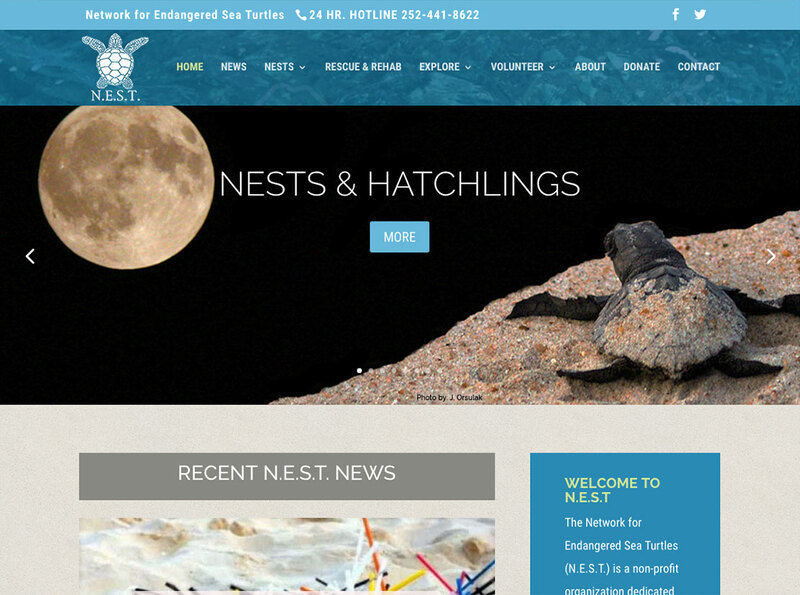 N.E.S.T is an acronym for Network for Endangered Sea Turtles, one of the most prominent volunteer organizations on the Outer Banks. Nest needed to N.E.S.T a large amount of information to the public in an engaging and organized manner. We worked with N.E.S.T to determine what content needed to be prioritized in order to create a lucid website for the organization. Outer Banks Internet is delighted to have had the opportunity of helping N.E.S.T spread their important mission via the digital world!